Millions of mothers across the United Kingdom suffer from a “motherhood pay penalty,” according to a report from the Institute for Fiscal Studies. 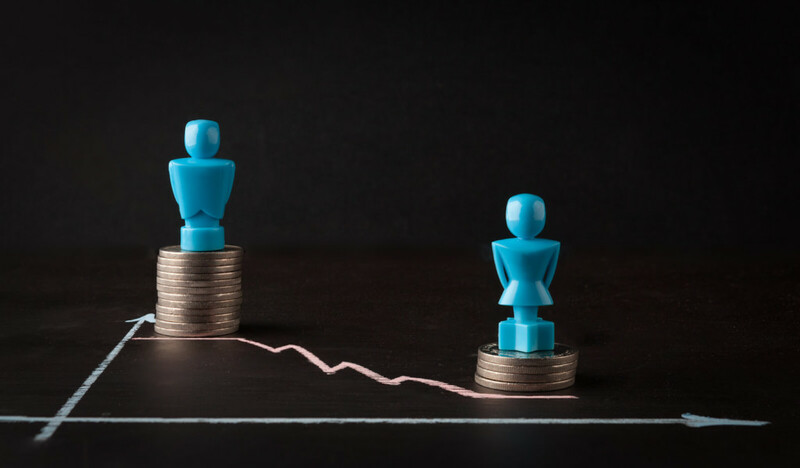 However, women are not penalized with an immediate pay cut; rather, when they return to work after having a child in a part-time capacity, they miss out on hours and subsequent opportunities for promotion and pay increases. Over the years, this wage progression between the sexes increases, with women’s hourly pay rate falling substantially behind men’s. Learn more: Mothers’ pay lags far behind men. According to a recent study by Comparably, only 65 percent of workers in the technology industry are happy with their work-life balance. 1MFWF supporter Cali Williams Yost weighs in on the importance of offering employees the flexibility they need to find a satisfying work/life fit. How to improve work-life balance at your company offers tips on how companies can ensure they are keeping up to speed with this workplace need, and highlights ways in which employees can approach their employer about better work-life integration. When employees have greater freedom over their working hours they are actually more likely to work longer hours, according to new research from Heejung Chung and Yvonne Lott published in the European Sociological Review. Autonomy and work-life balance supposedly go hand-in-hand, but according to the findings highlighted by this article, we may be creating a new population of flexible but burnt-out workers. Read more: Flexible working is making us work longer. Work flexibility presents a new set of challenges to employers beyond how to manage a flexible workforce, including addressing security and benefits. Lifestyle digital disruptors such as Uber and Airbnb have taken the world by storm, and businesses must learn to adapt to the challenges of this rapidly expanding digital economy and professional landscape. With current traditional benefits being centered around the employer, businesses will have to find ways to shift those entitlements to more portable benefits that are attached to the individual. Read more: Digital disruption could rock workplace, report warns. Across India, women are highly encouraged to pursue careers in engineering or medicine, yet, once it is time to start a family, many of them experience a plateau or even a halt altogether in their professional lives. There is a growing disconnect between women and the workplace in India, and one professional sought out to change that with the creation of Sheroes, a platform for career oriented women. Learn more about how Sheroes is changing how women, wives, and mothers interact with work: A Place Where 600,000 Women Look for Work That Works for Them. The wage gap is often simplified into a stastic about how women earn 79 cents to every every dollar made by a man. But the reality of the gap is much more nuanced. A study led by Marianne Bertrand, an economist at the University of Chicago, shows that the gap is more apparent in certain professions and industries rather than others, particularly in those which require specific and longer hours than others. And yet, longer hours aren’t always conducive to productivity. As a result, rethinking the workplace to allow for more flexibility and a focus on results rather than hours could eliminate the wage gap. Sarah Kliff explains the complexities with clear language and humorous graphics in her piece, The truth about the gender wage gap.